I think it is pretty safe to assume that La Boheme, Madama Butterfly, Tosca and ﻿possibly Turandot are the most well known Puccini operas. Have you heard of Il Tabarro? La fanciulla del West? Edgar? La Rondine? Manon Lescaut? All of them other operas by Puccini! Many young singers are familiar with Il Trittico, the all encompassing title givent to a trio of Puccini operas made up of Gianni Schicchi, Il Tabarro, and Suor Angelica. Often Gianni Schicchi and Suor Angelica are performed in part or in whole in educational settings and small opera companies but rarely in major houses. I'm not sure why that is but so it is! Here is a youTube clip talking a bit about Gianni Schicchi. 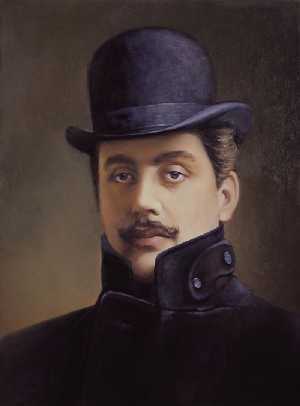 Which lesser known Puccini operas and arias do you love? Which do you want to know more about? Answer in the comments below and you could win a Madama Butterfly T-Shirt!